Drivers can be pricey, so finding the right fit is important so that you can hit your best shots off the tee. In recent years, golf club manufacturers have worked hard to lure golfers to spend hundreds of dollars to pursue their dream of hitting the ball long and straight with a driver. But most golfers don't realize it is the attributes of a particular driver that lead to good results, not the fact it's the latest one available. 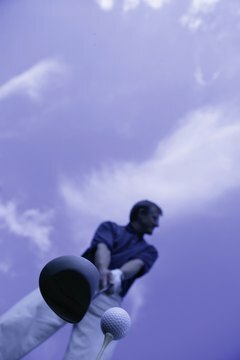 The commonly held belief is “the bigger the club head, the longer you'll hit the ball." Most players reason a driver with a larger head provides a bigger “sweet spot” so it's easier to get away with an off-center shot. They're right, but some drivers have such large heads that they get in the way of most golfers. If you are a weekend golfer and you hit the ball less than 250 yards off the tee, look for a driver that has about a 450 cc head. You might hit a driver that has a larger head, and you might hit the ball farther, but you're likely to sacrifice accuracy. There are three shafts that are made of different metals: steel, graphite and titanium. Drivers with steel shafts generally are less expensive and are heavier than the others. If you are a high handicapper, spend more money to buy a driver with a graphite or titanium shaft because their less weight will translate to a higher club-head speed, and that means you will hit the ball farther. Further, all three types of shafts come with five flexes: senior's, woman's, regular, stiff and extra stiff. If your ball carries less than 200 yards, choose a woman's shaft; 225 yards, senior's; 250 yards, regular; 275 yards, stiff; 300 yards, extra stiff. Finally, make sure you choose the right length of shaft. Many amateur golfers hit with a longer shaft to add distance, but they are sacrificing accuracy. For many years, golfers chose drivers with the least amount of loft because it was commonly believed the lower the loft, the longer the ball would travel because they would hit it lower. New research indicates something different in that balls that fly higher, fly farther. Your choice of loft depends on your swing speed, and your pro shop or sporting goods store should help you determine this. If you have an average swing speed of less than 100 mph, you probably should choose a driver with a loft of at least 12 degrees. Only choose a driver with less loft if you swing considerably faster, but never less than about 10 degrees of loft. How Long Should My Golf Driver Shaft Be? How Do I Know If My Shaft Flex Is Too Firm? Which Golf Driver Hits the Longest?